Innovative solutions, right at your fingertips. 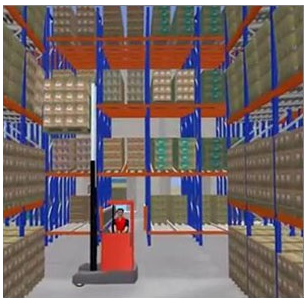 We understand that observing how your warehouse functions only on a large-scale level can make it difficult to find problems and inefficiencies, making it nearly impossible to find solutions and improvements. 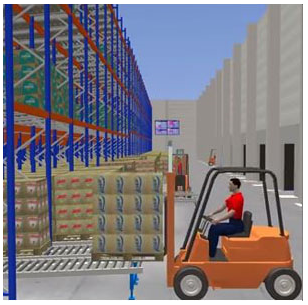 In order to help you, and us, discover innovative ways to increase production and decrease costs, our well-qualified engineering team uses the latest design tools to provide concept drawings, floor plans, elevations and install drawings for every project so you get the full scope of your warehouse. 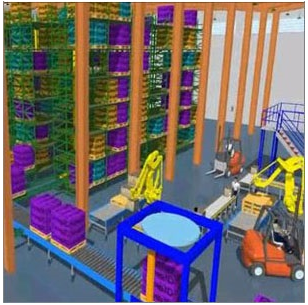 And now, with our new CAD design services and innovative 3D modeling software, we can bring your current material handling system operation to life. By giving you the ability to create a working model of your facility as it is today, we can simulate a variety of proposed solutions together, identifying problem and improvement areas. Working closely with our design and engineering team, you will be able to see your proposed design changes in action and measure the potential impact on your business, so you can be confident in your investment. In order to serve you best, our engineering, project management and system design teams’ goal is to provide you with warehouse systems and storage rack installations that function efficiently and economically to propel your business forward, because we don’t succeed unless you do. Contact us today and discover what the leading technology in our material handling system designs can do for you. It’s time that you increased your efficiency, production and business. We can help.